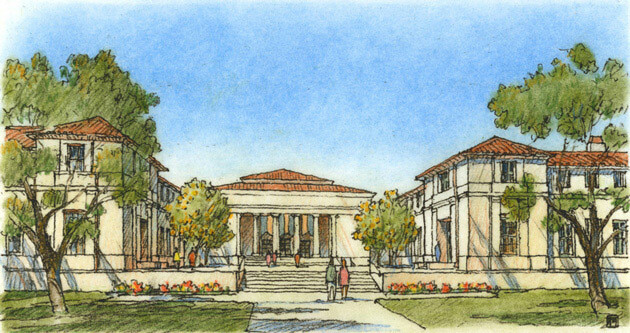 Occidental College, founded in 1887, is a small liberal arts institution located in a scenic hillside area of northeast Los Angeles. Over 100 years old, the 123-acre campus is adjacent to a residential neighborhood and within walking distance of two small commercial corridors. 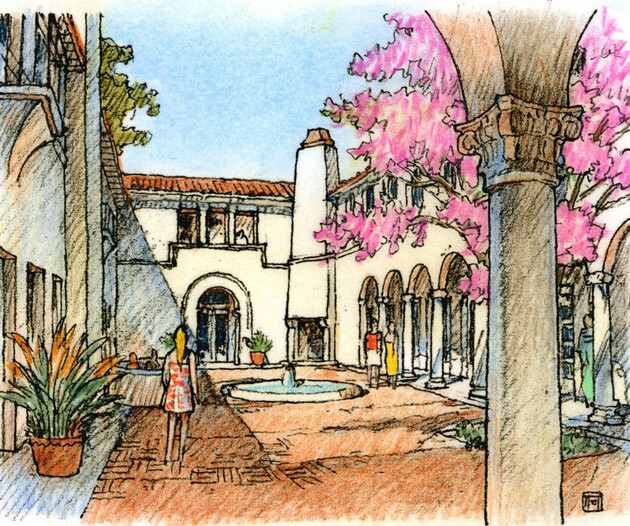 The College’s goals for its 20-year master plan included obtaining entitlements for its expected growth, creating a campus-wide sustainability protocol, establishing a more positive relationship to its neighbors, becoming more visible within the surrounding city, and managing a group of original historic buildings by architect Myron Hunt. 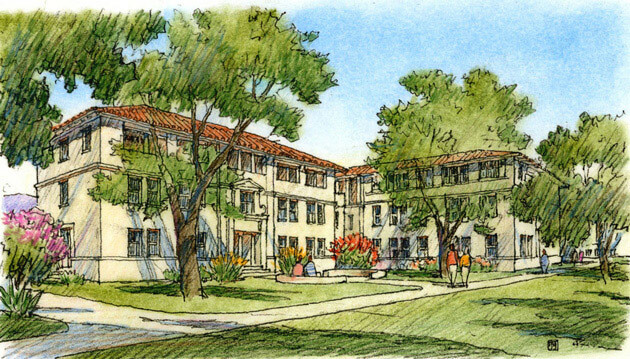 The plan adds nearly 600,000 square feet of new building area and outlines guiding principles for architecture, landscape, historic preservation, transportation and sustainability. 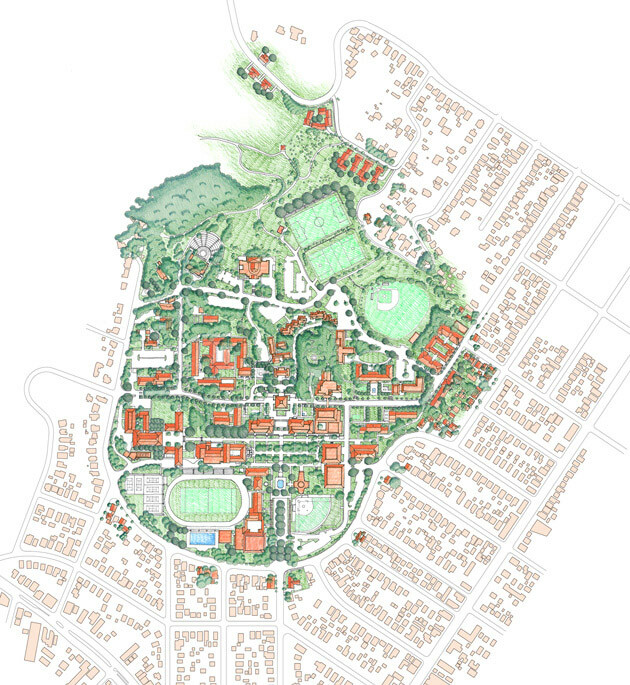 The College’s original plan is affirmed, reversing the process of its dilution over the last 65 years and introducing infill and sustainability strategies as the core idea for all future design. The project won the Society of College and University Planning Merit Award for Excellence in Planning.